Love, love, love this colour on my skin tone - feels vintage and is the perfect everyday shade, I can see myself wearing this often. Launching today (28th January) is an exciting new 'Pop Up Parlour' from Cosmetics A La Carte at The Peak Spa at the Jumeirah Carlton Tower hotel. Cosmetics a la Carte will be offering complimentary ‘Recharge Makeovers’ and handy tips on how to get the perfect complexion every Friday. The Parlour will be open every Friday from 10am -6pm and consultations are around 20-30 minutes long. Voted ‘Top Ten UK Day Spa 2008’ by readers of Conde Nast Traveller, the exclusive Peak Health Club & Spa is one of London’s premier health and beauty centres. This oasis of calm and tranquility, high above the city on the ninth floor of the Jumeirah Carlton Tower, is open to members and guests. 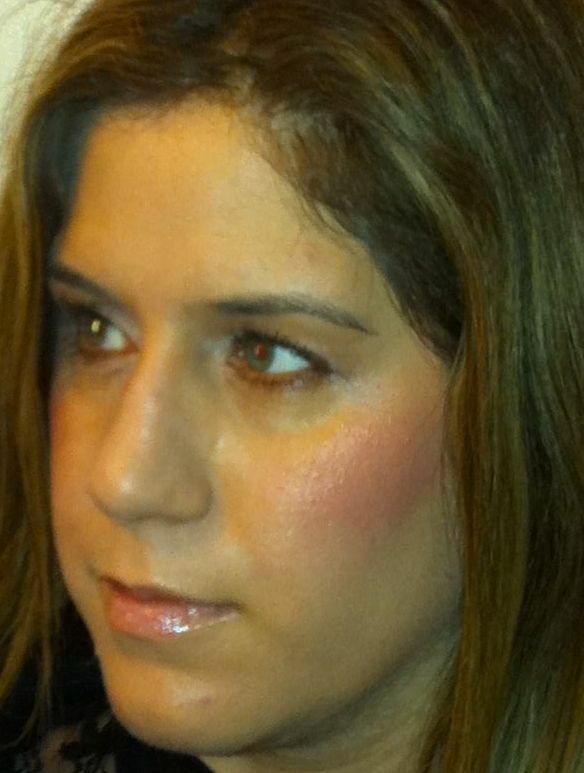 Cheeky Powder Blush in shade 751 You - I love this shade! These are 3 fantastically wearable shades that would be a great addition to your makeup collection this Spring. You must be a follower of this blog and leave a comment below asking to be entered into the giveaway with your name and email address, so that I can contact you if you are the lucky winner. It's easy to follow my blog - just click the FOLLOW button on the right of the page and follow the instructions. This will gain you one entry. You can gain an extra 2 entries by tweeting about this giveaway. Just tag your tweet with @BeautySwot at the end so I can see it. You can also gain another 3 entries if you blog about / have a link to this giveaway on your side bar - please post link to show you have done this. 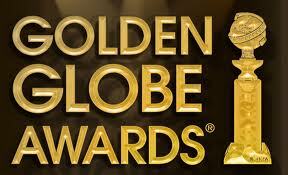 And The Winner Is......... Drumroll! I will send an email to get your details. I was recently invited to a launch party for the latest boxed blusher from Benefit (it is the 9th!) 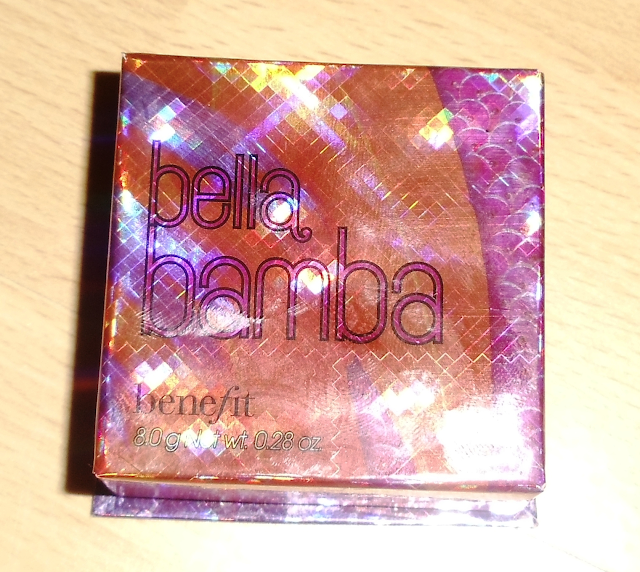 -Bella Bamba, we were treated to a mini make-over using the new blusher. What surprised and impressed me was how flattering it was for all shades of skin, from the palest to the darkest. Fans of Benefit and blusher wearers in general will love this latest offering. Inside contains the powder, a mirror and sturdy brush with a wooden handle in matching purple - unlike previous boxes the lid is now attached. The brush is excellent and soft. This is a gorgeous pink watermelon shade that comes complete with a fruity scent. I love the addition of tiny flecks of gold to give the skin a subtle glow. Benefit describes this as a 3D brightening pink face powder. 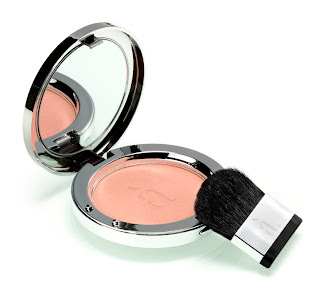 With this blush you can brighten, sculpt and define. Lightly sweep all over the face for a brightening effect, under the cheek bones for sculpting and over the apples of your cheeks for definition. 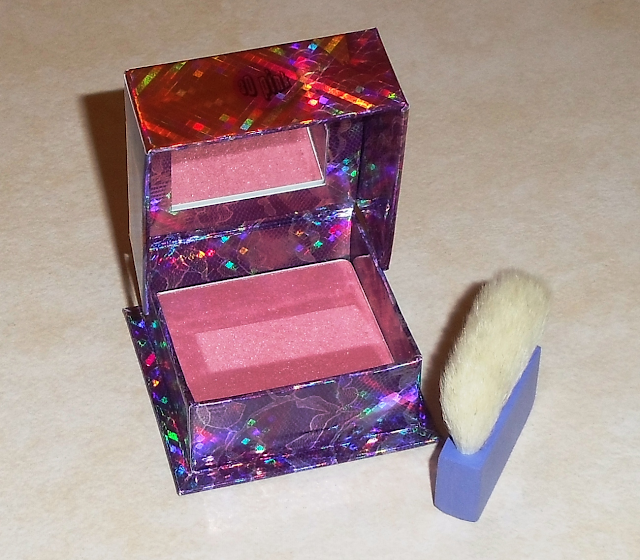 It has really brightened up my makeup collection for Spring. Bella Bamba Blusher is available now to purchase online priced at £23.50 (for a mighty 8g of product) at www.benefitcosmetics.co.uk and in stores from the 29th January 2011. Yesterday I had the most amazingly relaxing bath using Connock London's Soothing Bath Oil. It arrived beautifully packaged. I opened it up to reveal a heavy glass decanter that most certainly passes my bathroom test, it is simply stunning. The product is described as a highly conditioning bath oil containing a powerful blend of Kukui, Macadamia and Tamanu Oils. This makes it ideal for dry, sensitive or irritated skin conditions. My skin type is normal so I cannot comment on those claims but I would be interested to hear the thoughts of anyone who does and has tried this product. I can tell you that as soon as I dropped the oil into my warm bath, the fragrance wrapped the room in one of the most gorgeous scents I have ever had the pleasure of using. Every steam droplet contained the scent. The bath water turned milky and I couldn't wait to get in. As I lay back and closed my eyes, I was transported back to my Hawaiian honeymoon and the steamy rainforest. This really is bliss in a bottle. I am finding it difficult to describe the fragrance, it is delicate but not overtly feminine, so I think my husband would also like to use the oil. Having enjoyed my Sunday morning soak, my skin was left smelling gorgeous and feeling silky soft, there was no need for a separate moisturiser. My head and body were left with a real sense of well-being and calmness. As a dose of luxury at home this is wonderful. So make sure it goes on your Christmas or Birthday list, or even the next time you would like to treat yourself! 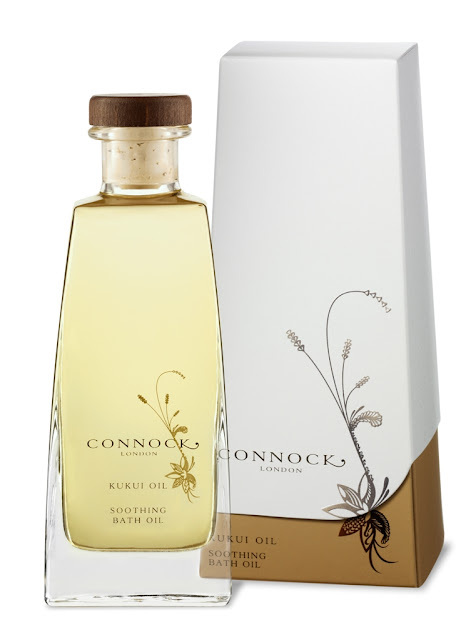 Connock London Soothing Bath Oil is priced at £42.90 for 200ml and is available to buy from www.connocklondon.com, Fortnum & Mason and Harrods. 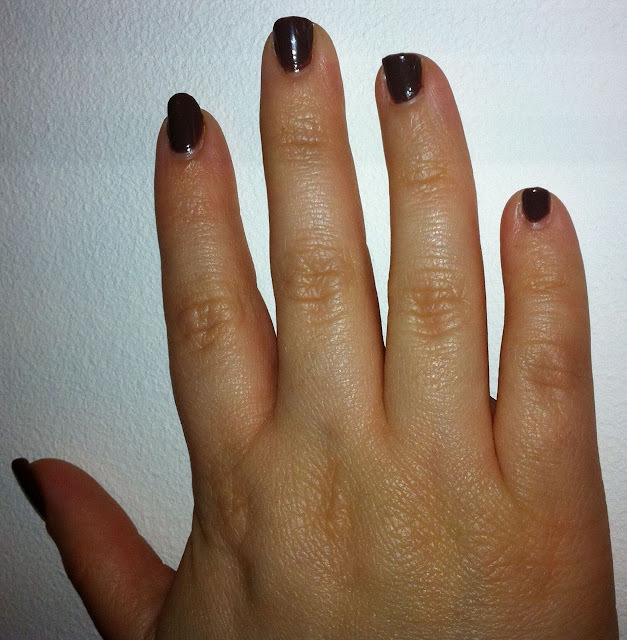 Perfect colour for January and dull winter days - a rich glossy chocolate. Regular readers of this blog know that I adore afternoon tea. On Thursday I was fortunate enough to visit the Athenaeum to experience afternoon tea and a Ren Spa treatment. Now, I am not entirely a stranger to the Athenaeum - I had a HUGE surprise from my husband last June when he booked a stay at this charming boutique hotel for my birthday. I was happy to be returning as I didn't get a chance to experience the afternoon tea on that occasion. 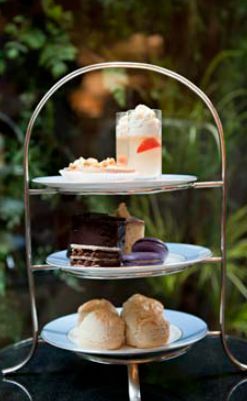 Afternoon Tea is served in the Garden Room - an intimate room that is so comfortable and relaxing that you feel as if you are sitting in your lounge. It is a brightly decorated room with gentle background music playing. The Honey Afternoon Tea has been inspired by the honey from Regents Park and every item on the menu uses honey from the Royal Parks as one of the ingredients - A novel idea! I love the taste of honey so I was very much looking forward to trying this. Pure indulgence followed. I was served a Honey Fizz (Champagne, Honey, Chambord and Vodka) to start, which was followed by Athenaeum Blend English Breakfast Tea and tasty sandwiches. I ate a smoked salmon sandwich and a caramelized goats cheese mini roll with honey, Although there were other sandwich choices of egg or ham. Up next were hot crumpets and freshly baked warm scones served with honey, jam, clotted cream and butter. I chose to try another tea on the menu - This time I opted for the Niagara Peach which is a green tea blended with peach pieces. A great choice. There are many more teas to choose from however so you will be sure to find one to suit your palette. And then, the moment I was waiting for ...the final course appeared of extremely tempting, delicate and exquisite home-made pastries including Honeycomb Marquis, Honey Cake, Elderflower Jelly, Lavender and Honey Macaroons,Chocolate and Honey Mille Feuille and Honey Cheesecake. I defy you to say no. Beautifully presented and moreish. A fine and carefully thought out menu. As you leave you will receive a complimentary pot of Regent's Park Honey as a souvenir of your afternoon. I think this is a lovely touch. After this mouthwatering experience I ventured downstairs to the newly re-opened Spa for the REN Manuka Honey Facial. The friendly team were there to greet me and put me at ease. I haven't had a facial before so wasn't sure what to expect. I was taken to a large room with two beds in it, although I was alone. The lighting was atmospheric and the music playing, soothing. I had the most relaxing experience whilst I was cleansed, exfoliated, massaged and pampered with minerals and essential oils. A truly sleep inducing detox that left my skin feeling the cleanest and softest it has ever felt. I literally glowed as I waltzed out of The Athenaeum. I will definitely be attempting (time permitting) to have regular facials from now on. I did have a peek at the other spa facilities whilst I was there and found two fantastic hot tubs which were incredibly inviting (sadly I did not have my swimming costume), a steam room, and the obligatory gym equipment. I honestly cannot think of a nicer way to spend an afternoon. I urge you to act fast and book as these fantastic offers are only available to the 31st January! 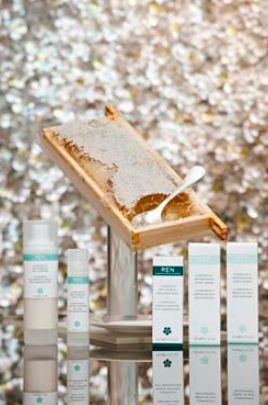 The Spa Honey Facial (£100) is currently on special offer - book one and the second is complimentary. Reservations can be made by calling 020 7640 3347 or email spa@athenaeumhotel.com, 72 hours in advance quoting' honey offer'. Stunning Spring colours don't you think? The blusher is a versatile product that you can mix for a healthy flush of colour. Use the pink shade for a rosy flush, the beige shade for sculpting and the Lavande shade to balance complexion. What do you think of this range, have you seen it in the flesh, which items are you coveting ? Gorgeous dress from Viktor and Rolf, gorgeous makeup to match. Natalie looks stunning pregnant. Actress Olivia Wilde makes a statement in this dress and check out those shoes! That dress could only be Versace! Who caught your attention in the glamour stakes? I had just finished my usual face mask and whilst perusing the aisle looking for something else to try, I was drawn to Good Things by its white packaging and simple, attractive design. I like the fact that it is free from parabens, SLS, mineral oils and animal products (making it suitable for use by vegetarians and vegans). Although it is marketed at young skin (from their website I believe that to be under 25 years old), one of my favourite masks is also marketed for young skin, so I thought I would give it a whirl. This is a mask that takes just 5 minutes to work, excellent for busy mums like me who simply don't often get time to sit down 15 minutes for a treatment. It is green and very smooth - I found it easy to apply and obtain even coverage and see where it has been applied. For me, the thing that makes it really special is its scent - it is so fruity! Described as being designed to make your skin clearer, brighter and smoother. Ingredients include green clay and kaolin to draw out impurities, avocado oil to moisturise, goji berry extract to soothe and willow bark extract for radiance.I tested this out when my skin was in need of a real boost, it looked dull and had visible pores. I followed the directions for use - After cleansing, smooth on a thin layer of product, avoiding the delicate skin around the eyes. Relax for five minutes while the mask dries, then splash with warm water and rinse off . Use weekly. I was pleased with the results. The mask dried perfectly in the 5 minutes I had allocated. My pores were clean, my skin was left soft and I looked revived, just what I was looking for in a face mask. I would repurchase this. 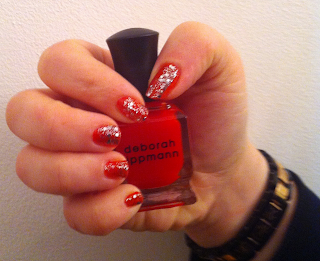 Deborah Lippmann is considered one of the best manicurists in America. 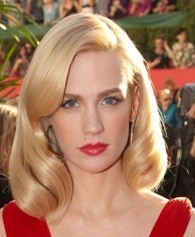 She has many celebrity clients including Renee Zellwegger and Gywneth Paltrow. Deborah has created a range of 45 polishes inspired by her clients and these are worn by many celebrities for events and cover-shoots. I couldn't wait to get my hands on them and adorn my nails in her polish. Today I am wearing Supermodel Nail Lacquer £14 - A pretty coral red (you will need to use at least 2 coats of this to get the colour in the bottle) and on top I have coated with Today was a Fairytale Nail Lacquer £18 - this is a fabulous glitter polish - you only need to swipe it over the nail and you are rewarded with a gorgeous glitter effect with the additional bonus of larger glitter dots. 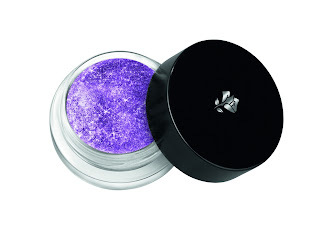 It apparently contains Virgin Diamond Powder for added glitter and shine. 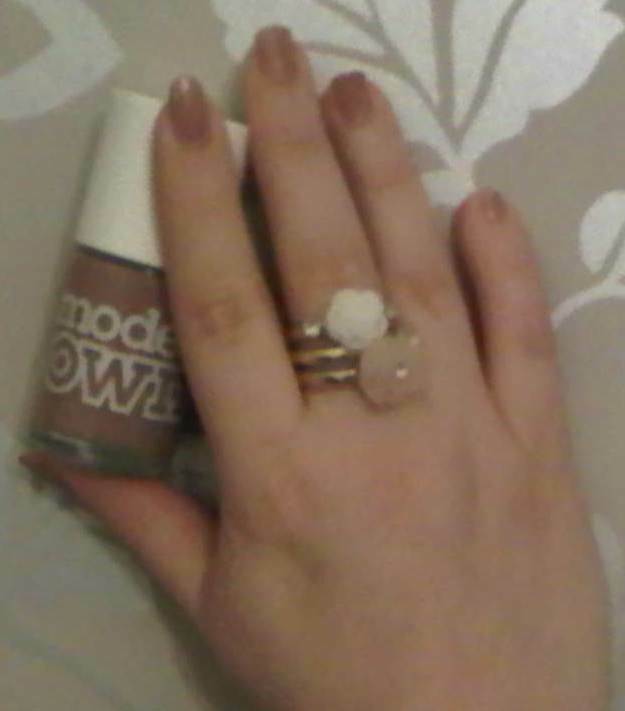 I cannot wait to try this with black nail polish as I think it will be stunning! The red went on like a dream, so easy to apply with an excellent brush. I am also looking forward to trying out Sarah Smile - created with Sarah Jessica Parker and Boom Boom Pow - a gold glitter shade containing 24k Gold Dust. What shades have caught your attention from the Deborah Lippmann range? Michelle Smith designer of the women’s fashion and accessories label -Milly - has teamed up with Clinique to create a limited-edition makeup palette of essential eye, cheek and lip colours for Spring 2011. 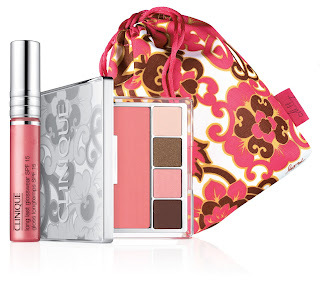 Exclusive to Clinique, the collection mixes rich browns with sweet pinks and is packaged in a sleek silver compact, adorned with a one-of-a-kind Milly print. The limited-edition Pretty in Prints compact is enclosed in a pouch designed by Michelle to showcase her signature Milly aesthetic. I am a huge fan of Clinique make-up. I wore pretty pinks & browns on my eyes, cheeks and lips from Clinique for my wedding. 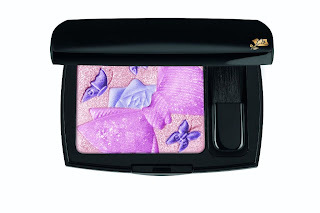 I think this limited edition collection from Clinique is very pretty and will be checking it out when it hits the counters. Quad in Printed Pinks and Blushing Blush in Precious Posy, all stylishly organised in a compact adorned with the Milly print. Perfect for Spring! 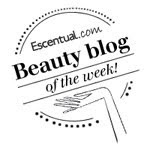 BeautySwot 100 Followers Fabulous Giveaway! - NOW CLOSED! You must be a follower of this blog and leave a comment below asking to be entered into the giveaway with your name and email address so that I can contact you if you are the lucky winner. It's easy to follow my blog - just click the FOLLOW button on the right of the page and follow the instructions. You can gain an extra entry by tweeting about this giveaway. Just tag your tweet with @BeautySwot. You can also gain another entry if you blog about / have a link to this giveaway on your side bar - please post link to show you have done this. I mentioned on twitter recently that over the Christmas break I had become reacquainted with an old friend. 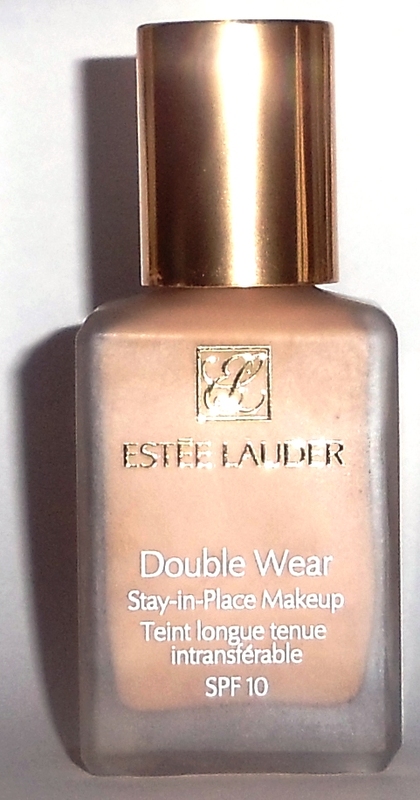 As my husband reads my twitter he asked me who this old friend was - I had to confess to him that my old friend was Estee Lauder Double Wear Foundation - Stay-in-Place Makeup SPF 10. I am the kind of person who is pretty loyal - once I like a foundation I tend to stick to it. We all know that it is very hard to find that perfect foundation and this really was my perfect foundation. I discovered this a few years ago and would buy it along with my other favourite - Chanel Vitalumiere. Of course the temptation of all the new foundation launches meant that I strayed and forgot all about my beloved Double Wear.. until it was given to me as a gift this Christmas. I have found myself falling in love all over again.. This liquid foundation is described as being suitable for all skin types. 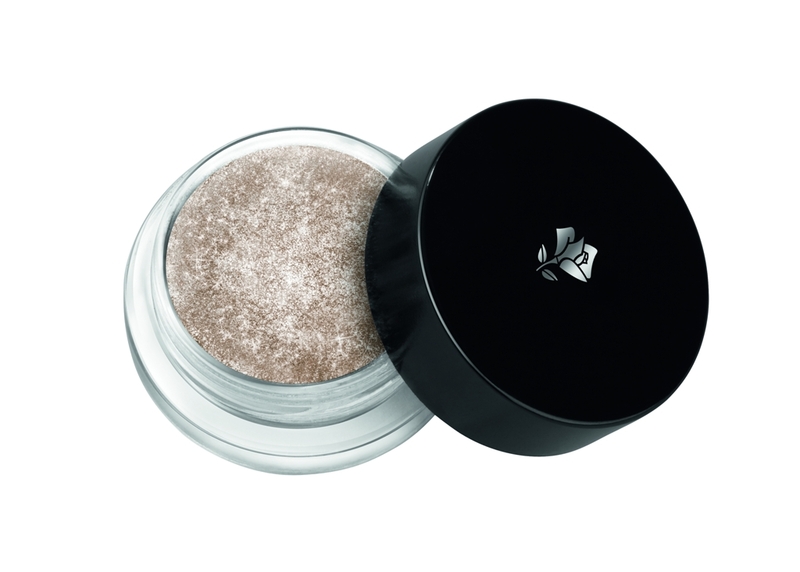 The packaging states the following - This remarkable lasting, yet lightweight makeup wear comfortably up to 15 hours, even in high humidity. Won't smudge or come off on clothes. I have normal/combination skin. I apply it with fingers or with my foundation brush. I find that it feels heavier than Lancome's Teint Miracle, but the coverage is also heavier on this foundation. This gives excellent, buildable coverage which Estee Lauder says is medium, this means I don't need to use any concealer, even round my eyes. It hides pretty much everything, providing a beautiful flawless finish. 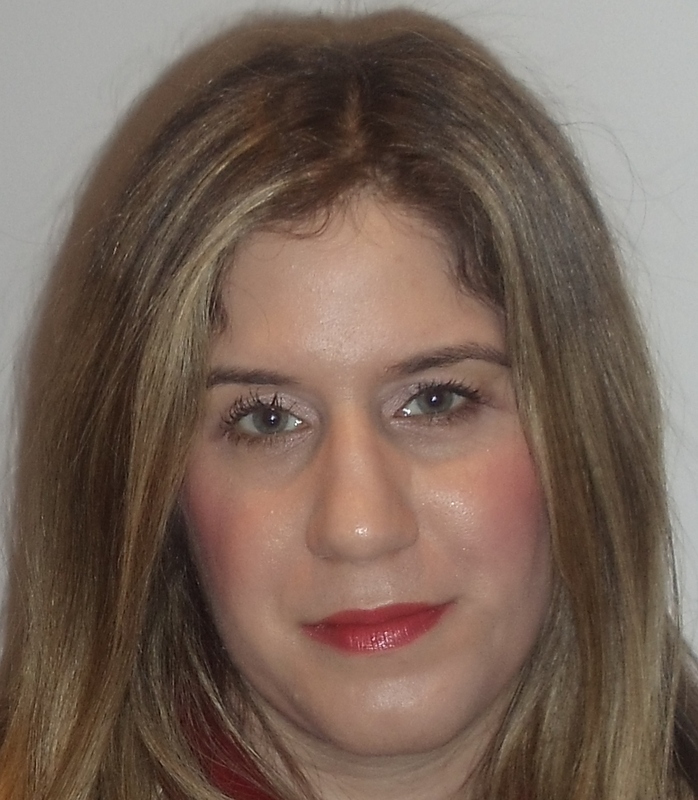 The foundation negates the need for a primer to be worn underneath and it is fabulously long lasting. I look made up all day with no need to reapply any of my makeup (except for lipstick/gloss). It really does stay in place, so much so that at the end of the day the foundation makes a real mess of my muslin cloths as none has worn away. I will definitely be purchasing this again once it has finished as I adore everything about this foundation. Have you tried it/will you be trying it ? Beauty doesn't start or end at your face. There are lots of treatments and even surgical procedures available to make our face look younger, but your hands can and will give away your real age, especially if you don't look after them. I mentioned this week that I am quite lucky to have hands that are rarely dry / flaky or cracked, although I do like to use a hand cream to keep them beautifully moisturised and soft. As I wrote in that post, the only time they feel horribly tight and dry is when I don't wear gloves to do the washing up. I love these because they come in my favourite colour - two tone purple. They also have a raised grip which I find really useful when washing up as the dishes don't slip out of my hands. 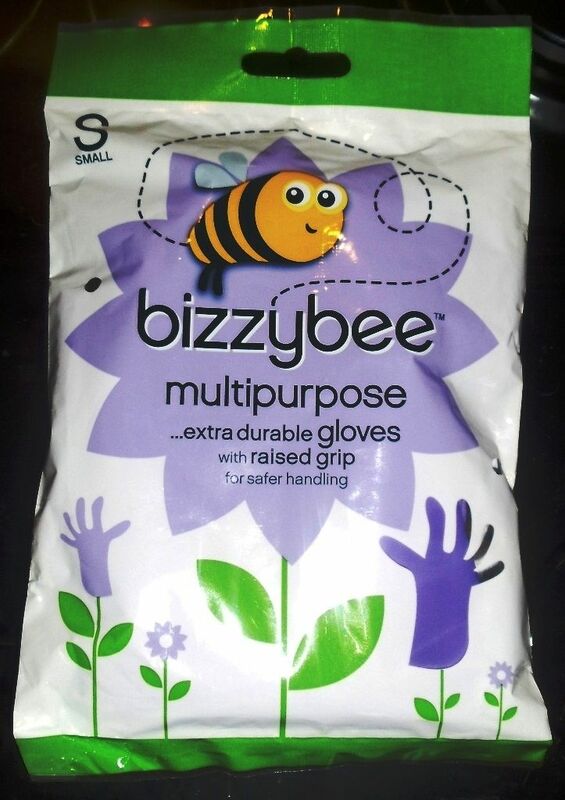 Another major plus point is that these gloves are available in a small size - you all know I have small hands right? Surprisingly, small gloves are quite hard to find in the supermarkets! As I also write about pretty things I would like to mention my other favourite item from bizzybee - their glamorous scourers!! Here is a picture of some of their product range. I like the cute packaging and there is something for everyone. My mum loves the Satin Touch unlined gloves as she cannot use gloves with flock lining. bizzybee are also currently running a competition to win a £5,000 Thomas Cook holiday. Full details are here. Models Own have teamed up with the News Of The World and Fabulous magazine to give you a fantastic New Year offer – a FREE Models Own make-up kit worth £24! 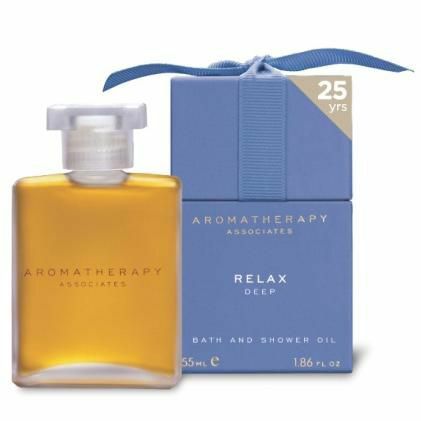 Celebrate with Aromatherapy Associates Deep Relax Bath and Shower Oil! This is a fabulous new year treat! 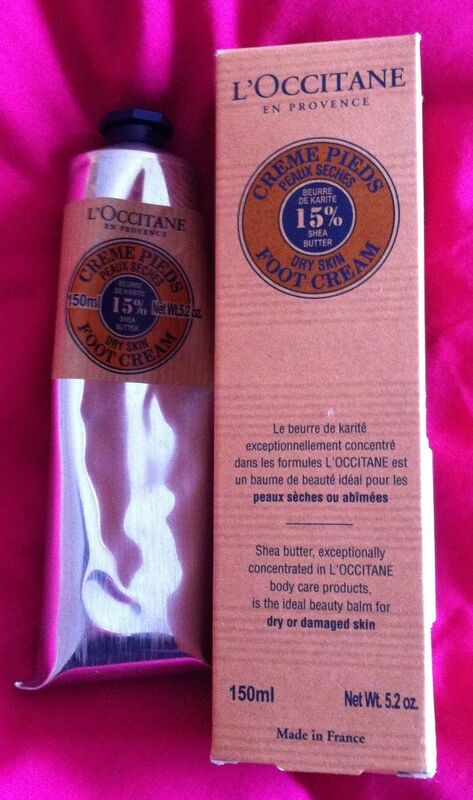 I was given this as a gift for Christmas and I am so glad to have received it - It is my miracle foot cream! The Shea Butter Foot Cream has completely transformed my feet. This winter they have been hidden away from the world and it has been easy to neglect them. I had noticed that my soles were dry and a little hard and was looking for something a little special to pamper them with. A prescription for relief and well-being. Rich in nourishing shea butter (15%) and containing antiseptic A.O.C. lavender essential oil to purify and anti-inflammatory arnica extract to help reduce redness and irritation, this cream moisturises and relieves irritated and tired feet. This sounded ideal and promptly found its way onto my Christmas List. I have been using this after bathing or at night before bed and have found it to be just perfect and luxurious - my feet are now beautifully silky soft with not a hint of dryness. It feels like I am having a pampering treat every day as it is rubbed in. The scent of the cream is lavender which I must admit I am not a huge fan of but it is light and doesn't linger. If you have hard skin you may need to use a pumice or similar in addition to this cream. My sister gave this to me when she got it free from The Body Shop after making a purchase as she knows how much I love lip glosses. Ooh I love the scent, the gloss smells of passion fruit. It is so fruity and reminds me a bit of the juice drink Five Alive. It is so shiny and quite thick - so when I apply to my lips I have to even it out a bit. Applied it is so sticky, being a fan of gloss I am not totally averse to sticky but it is no good if there is a wind blowing as your hair sticks to it like super-glue! After about 3 hours the colour on my lips is no longer there but my lips still look glossy and I love that fact it leaves my lips so soft - this gloss does exactly what it says - nice and moisturising. 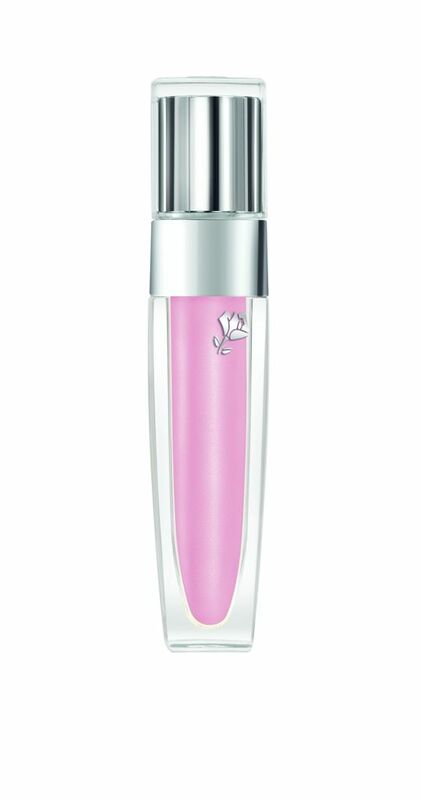 I actually really like this so I will be buying it again, but to be honest, it is not really surprising that I like this gloss as one of my other favourite glosses range is Glam Shine from L'Oreal which owns The Body Shop. I picked this hand cream up as its ingredients were hard to resist and have been applying it overnight this winter. The product claims to help soften skin and nourish, so no fancy claims just a general hand cream. I would describe this as quite a light hand cream, more like the texture of a lotion, but I don't really suffer from dry hands unless I do the washing up without gloves (post about that coming soon!). If you apply it during the day the effects seem to disappear after a while. For my requirements though it is just fine. What I do love about this is that it is non greasy, absorbs easily and smells so beautifully and intensely sweet - so not great for those who don't like a sweet scent but good for those who do! I think this is an excellent value hand cream and I would definitely repurchase. These days I am more likely to pop into House of Fraser in Lakeside or Bluewater but the stores are just as enticing.. and even more so now they have launched their new Apothecary section. This section is an oasis of calm amongst the hustle and bustle of the store. I managed to escape into it when doing Christmas shopping and was able to take the time to explore the brands and products. I was like a child in a sweet shop, everywhere I turned there was something tempting on offer. The concept is to make the Apothecary a beauty destination which will offer a mix of contemporary, classic, niche and global brands, across cult and everyday products. House of Fraser say that the Apothecary will be staffed by fully trained advisors who care about their customers and recognise that traditional practices are as relevant and desirable as new technology. As I visited late one evening, the section wasn't manned so I wasn't able to put to the test this claim. Nevertheless I enjoyed mooching about and spotting brands that I hadn't heard of. Exclusive to House of Fraser are the following brands - Deborah Lippmann nail polishes - something I am keen to try soon , Electric Body skincare and Cereria Terenzi candles. New to House of Fraser are MOR, 3LAB, Hissyfit and Trilogy. They have also created their own range called Apothecary. Such cute packaging, really different, it had shelf appeal. I have the marshmallow version. I was expecting this to be smelling all sweet and sugary but it actually smells of peppermint. It is pink in the tube but comes out clear with tiny flecks of gold and pink. 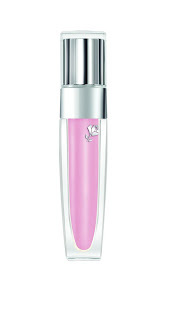 It is a really glossy gloss and it gives a slight tingle on application - Nice pout! I love the attractive, retro designed packaging and the idea of a product containing Green Apple, Maple and Blueberry is appealing. These products are paraben free and contain organic ingredients. Suitable for all skin types. The Scrub is an incredibly gentle cream with the actual scrub bits very fine. The foaming mousse is a liquid that is transformed into a mousse by the pump bottle. Both products had a very pleasant, apple fresh scent. I found them to be enjoyable and fun to use with no drying effects.